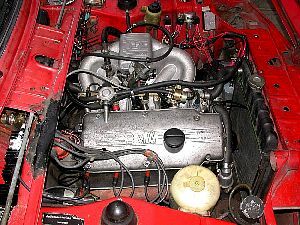 One of the most common engine performance upgrades done to 2002s is improving the carburetion. My '73 '02 has had a Weber 32/36 DGV on it for as long I have owned it - the 32/36 is, perhaps, the de-facto "stock" carb for '73 and later 2002s. 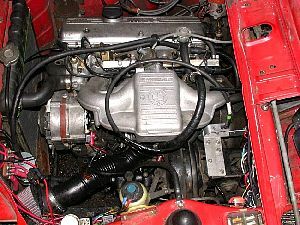 Of course, the ultimate carb setup has traditionally been a pair of sidedraught carbs, emulating the "ti" spec. Like most '02 owners with a need for more, this was the setup I had always aspired to. There's good reason BMW was one of the first makers to completely abandon carburetors and even mechanical injection schemes. While the mechanical system used on the 2002tii was an improvement over the carburetor it replaced and great for its time, it is very crude, fiddly, and expensive compared to EFI technology. Overall, electronic engine management is a win-win-win-win proposition delivering better driveability, more power, increased fuel efficiency, and lower emissions. But how to get EFI on my '02? Some pioneers have converted their 2002s using the L-Jetronic computer-controlled FI from the early E30 318i. The main drawback to that conversion is the lack of tuning options - there is not much to be done to make the system work well with modified engines, at least, not without a lot of guesswork mixing and matching of components from other models plus some expensive voodoo "chip tuning" since the electronic brain of the L-Jetronic system is an inscrutable "black box", the inner workings of which are not to be known or tampered with by mortal men. Of course, there have been aftermarket user-tuneable EFI systems available for quite a few years. However, with prices starting at $1000 for the "brain" alone they have not really been affordable for guys like me. But that all changed with the advent of the Internet-facilitated, group-engineered, open-architecture Megasquirt EFI controller. For under $150, I could build my own fully-programmable EFI computer and adapt it to almost any injector and intake setup - a tweaker's dream come true! Of course, it helps if you know how to solder and understand electronics and the principles of FI since the low price does not buy you anything even remotely approaching a "bolt-on" conversion - it is a true DIY, experimental system. 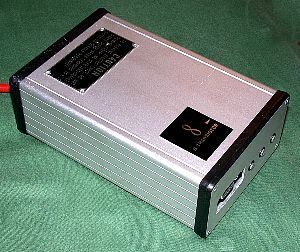 However, the web-based discussion forums are perhaps the ultimate support resource and far surpass what any commercial system manufacturer can offer while the open-architecture concept has inspired the user community to develop firmware and tuning-software variants that the original creators had never dreamed of. For example: I am using a firmware variant that enables the Megasquirt to control my ignition timing - also totally programmable and based on a crankshaft trigger for ultimate stability. So, it is no surprise that I sold the Weber 45s and converted my 2002 to EFI with a Megasquirt ECU; the proceeds from the Weber sale easily covered the cost of the EFI conversion parts. This set of web pages documents my journey down the road to EFI. Like the system it describes it is still a work in progress and will be updated fom time to time as I make further revisions and upgrades. Follow the links below to learn more. This web site and all images Copyright © 2003, 2004 by Zenon Holtz, all rights reserved.